Did you miss this Dodgeball Season? The Team - Teams will consist of 8 to 10 players. Games will begin with 6 active teammates. Extra players will NOT play in the current game until a substitute is needed . Note that in 3 team format, the non-playing team serves as moderators (see Competition Format below for more information). The Field - A basketball court (full-court) will be used for each match. The walls and nets will serve as the outer boundaries. The double gray lines closest to the 3-point arc will form the attack lines. The Equipment - Each game will use 6 dodge balls. Each ball is 8.25 inches in diameter and made of dense foam rubber. 1. Hitting an opposing player with a LIVE thrown ball BELOW THE NECK. EFFECT: The player is "OUT" if the ball is not caught. EXCEPTION: The thrower is "OUT" if the thrown ball contacts the player’s head, unless the player dives or ducks. In this case, the player is "OUT" and the thrower is not. 2. Catching a thrown ball from an opponent. EFFECT: The thrower is "OUT". 3. An opponent’s thrown ball knocks a player’s held ball to the floor or another object before regaining possession. EFFECT: The player is "OUT". 4. A ball deflecting off a held ball is no longer a LIVE ball unless it is caught by the same player. EFFECT: The thrower is "OUT". 5. If a player’s entire foot crosses over the attack line into the opponents territory, the player will be "OUT". If any part of the foot is touching the line, there is no foul. 6. A player may possess more than 1 ball at a time. Safety Rules - As with every sport, there is always risk involved for injuries to occur. Make safety the most important priority during action. Please be mindful of an attack on a defenseless player, such as somebody in an unsuspecting or awkward position. No win is worth the expense of an injured player. 1. A player may deflect a thrown ball approaching his/her head with hands or arms, without penalty of being put "OUT". EFFECT: The ball is immediately dead upon deflection, and the thrower is "OUT". 2. When a player has been put "out", the player should raise his/her hand immediately to indicate they are "out" and are surrendering to the sidelines. 3. If a head or face shot occurs, ALL play should STOP immediately until the player is attended to, or gives a verbal "OK". A teammate or monitor should verbally signal "STOP PLAY" so no more throws occur. If needed, the monitors should make a decision on how the situation should be best handled. 4. A player re-entering may not be put out immediately. The re-entering player should raise his/her hand to signal that they are not a target and proceed directly to the back wall. Upon touching the back wall, action with the player may begin. 5. Loose jewelry such as necklaces, bracelets, or chains must be removed prior to active play. Stalling Penalty - If one team has control of all of the balls for more than five seconds all of the balls must be rolled across the floor for the other team’s possession (5 seconds can be counted aloud as 1-banana...2-banana... etc. 6. Any player intentionally kicking a ball during play will be disqualified from the game. This is NOT a kicking sport! Player Back In - If a ball is caught as a result of a throw from a player on the opposing team, the thrower is "OUT", and one player from the team that caught the ball is allowed back on the court. Players must return to play in the same order that they got put "OUT". The re-entering player must touch the back wall before any action can begin with the player. All Players Back In - All teammates may return to active play if a basket is made in the opposing team’s hoop. If the shot misses and is caught before it touches the floor or wall, the shooter is "OUT". The Rush - The game begins by placing 6 dodge balls evenly spread along the center-line. Players stand with one hand touching their back boundary wall. Following the shouted signal "DODGEBALL", teams rush the center-line to retrieve the balls. Once a ball is retrieved, it must be taken behind the gray attack lines before it can be legally thrown. During the Rush, a player may NOT step over the center line while trying to retrieve a ball. A player may reach over, but not touch the floor across the center line. As with the attack line, a part of the foot must remain in contact with the center line. If the foot is entirely over the line, the player will be ’OUT’. The Match - Continuous games will be played during the established match duration (40-mins for 2-team match-ups). Wins and losses will be marked [X] for each team immediately after each game. Games will be limited to 6 minutes. However, a 10 second possession-to-throw will be enforced when a team is down to 2 players remaining. When a ball is being held, seconds may be counted off by the opposite team as 1-banana, 2-banana, etc until 10 seconds expire. If a player has not thrown the ball after 10-banana has been reached, one player will be declared "out". Competition Format, 2 or 3 team match-ups - In 2 team format, at least 1 extra player from each team IS REQUIRED to sit out and monitor the current game. In 3 team format, 3 teams will be assigned to each court for round-robin play. Teams will take turns playing each other, and the odd team out will monitor the current game. Etiquette - Players should fairly referee themselves. BE HONEST! When a player knows he/she is "OUT", the player must leave the floor immediately and not help or interfere with ongoing play in any way. IT IS NOT THE MONITOR’S RESPONSIBILITY TO TELL YOU TO LEAVE THE FLOOR… IT IS YOURS! When a monitor must make a decision on a borderline play, please respect the decision. will remain open until June 27. League play will begin Wednesday July 5, 7:00-9:30 p.m.
We will be playing on both Basketball Courts. Non-Rec. Center Member + Employee/Contractor/Retiree/Spouse = $10. only eight will play at one time. Q1: If at the start of a game I run up for a ball, but haven’t gotten back across the "no throw" zone yet, I can’t get out right? A1: Wrong, you are fair game as soon as your opponent’s ball is taken behind the double gray attack lines. Q2: Can I catch my own tip? A2: Yes, you may catch your own tip and the thrower will be "OUT". However, if the ball contacts ANYTHING else before you gain control, you are "OUT". Even if your teammate catches your tip, you are still "OUT"(and your opponent is not "OUT"). Q3: What happens if I step on the opponents attack line? A3: As long as you have any part of your foot touching the line, there is no violation. If your foot is completely over the line, you are "OUT". Additionally, you may reach across the line to grab a ball, but no contact with the floor may be made. Q4: Can more than one player be put "OUT" with the same thrown ball? Q5: Besides catching a ball, is there another way for a teammate to re-enter after they are "OUT"? A5: Yes there is a special rule in the league that allows all teammates to re-enter if a basket is made in the opponents hoop. *** However, if the shot misses and the rebounded ball is caught before it contacts the floor, the shooter is "OUT". Catching the ball after it goes through the hoop makes no difference (the ball is considered dead at this point). Q6: As a player re-enters from the sideline, are they fair game immediately? A6: No. The re-entering player should raise a hand to indicate they are NOT a target (and are re-entering), and with no delay, interference, or help, proceed directly to the back wall. Upon the player touching the back wall, re-entry is complete and game action with the player may begin. Q7: If a thrown ball deflects off a held ball, is it dead? A7: In all but one case, the answer is yes. The only case is if the ball is caught by the player that deflected it with the held ball, then the thrower is "OUT". Q8: What happens if a held ball is dislodged as a result from a thrown ball by an opponent. A8: If the player’s held ball contacts the floor, wall, net, another player, etc., then that player is "OUT". If the player regains control before any contact, then the thrower is ?OUT?. Q9: Can a team control all balls and place one as bait in the opponents zone with no penalty? A9: No. The 5-Second-All-Ball rule still comes into effect since the team still has control of all balls. If 5-seconds are counted off with no action, the controlling team must roll all balls to the other team. The controlling team may roll a single ball to an opponent, so long as it occurs within the 5-seconds, but may not throw until possession is made (for safety purposes). Q10: How is a face or head shot handled? A10: If a head or face shot occurs, ALL play should STOP immediately until the player is attended to, or gives a verbal "OK". A teammate or monitor should verbally signal "STOP PLAY" so no more throws occur. If the thrower knows it was a high throw, he/she should voluntarily go to the sidelines. Otherwise, the monitors should make a decision as to how the situation should be best handled. Q11: Why can’t I step over the center line during the rush? That’s part of our attack zone? A11: This rule was incorporated for safety purposes. There were too many collisions occuring during the rush, and this forces the players to slow down while they are converging at high speed. Dodgeball is going to be open league. Teams must have around 8-10 players. Dodgeball is played every week on Wednesday at 7:00PM. League play starts on July 5th and ends on August 2nd. The top teams will face off in a tournament starting on August 9th. Registration is now open for Summer Dodgeball !!! Yes, there is just enough time to squeeze a league in for the summer. The league will begin Wednesday July 5th and end August 9th . That’s 6 weeks of high-action fun! Once you add your team, I will acknowledge so all team members can register and join your team using the password you create. Players must be registered no later than Tuesday, June 27. Captains... Don’t forget to join your own team! Entry fee: FREE each Rec Center member $10 each non-member. Play 1 or 2 matches every Wednesday night. Please contact me if you have any problems signing up. Come indoors to an air conditioned environment during the hot summer times with some high-action FUN !!! 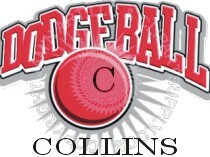 The Collins Dodgeball League is solely responsible for the content of this web site. Such content does not necessarily reflect the views of Collins Aerospace. Copyright ©2019 Collins Dodgeball League • All rights reserved.